In a world buzzing with satellite aerials, news flashes and status updates, this second Al Manakh – a special issue of Volume Magazine – provides an essential and comprehensive guide to the Gulf region during turbulent times: the worldwide financial crisis. The credit crunch is a ‘stress test’ for the different development models in the region as nations prepare for a post-oil economy. This transition provides several challenges: economic re-profiling, food security, environmental exposure, multiculturalism and demographic growth. Al Manakh delves into these challenges by profiling six cities in five countries bordering the Gulf (UAE, Bahrain, Qatar, Kuwait and Saudi Arabia). From this common ground, Al Manakh builds an inside-out perspective with local authors reflecting on their own situation and expectations. Guiding voices include editors Rem Koolhaas and Todd Reisz (OMA), Lilet Breddels and Arjen Oosterman (Archis/Volume), Daniel Camara and Mitra Khoubrou (Pink Tank), Ole Bouman (NAi). Al Manakh is for those seeking an alternating viewpoint on the growth of the Gulf – not one just from the air, but one also on the ground. 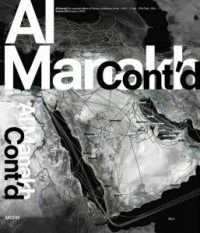 This is Volume #23, ‘Al Manakh Gulf Continued’.